Barb graduated with a Bachelor’s of Science in Nursing from Northern Michigan University and is a Registered Nurse. Before coming to Feinberg Consulting, Barb worked as a Field Nurse at the Visiting Nurses Association of Southeast, MI for over 25 years. She was also a Field Teacher and Team Leader. Barb enjoys biking, crafting, and reading. Barb came to Feinberg Consulting because, “It’s foundation and principles are what I have always based my nursing career on: integrity, compassion and patient advocacy.” In the future, Barb hopes to further her education in case management and continue to promote client advocacy. Barbara received a Master of Science degree in Rehabilitation Psychology from the University of Wisconsin. She is a Certified Rehabilitation Counselor, and has 18 years of experience assisting in the development of appropriate career pathways based on an individual’s interest, aptitude, achievement, and motivation. “I have worked with people facing barriers that have overwhelmed their lives, decreased their self-esteem, and left them without direction. I truly believe that we all have a purpose in life, and it is my privilege to assist people that feel lost in providing the guidance and counseling needed to help them identify a career path that will be purposeful and fulfilling. It is an extremely rewarding experience to be a part of a process that helps a person realize their worth and potential.” In Barbara’s free time she enjoys reading, running, attending her children’s sporting and musical events, and most importantly, spending quality time with her family. Denese has an Associate’s Degree in Nursing from Oakland Community College and has been a Registered Nurse since 2005. She comes from a clinical background of cardiac and surgical ICU, labor and delivery, and rapid response. After years of working as a nurse in hospital settings, she joined Feinberg because “they empower their employees with a mutual goal and compassion to help people overcome challenges, and strive to make their lives more fulfilling and maximize their quality of life.” When she’s not working, she enjoys spending time with her husband and three children, attending her children’s’ sports activities and involvement at their school. She also likes crafting and cooking. Diane has over 22 years of nursing experience, including home care, mother/child nursing, and case management in hospital settings. She is a graduate of the University of Michigan in nursing. She joined Feinberg “to expand my ability to help clients in the external case management setting. I’m a people-helper and an organizer and I am hoping to help clients restore normalcy again to their lives.” In her spare time, she loves to read, listen to music, and spend time with her husband and two sons. 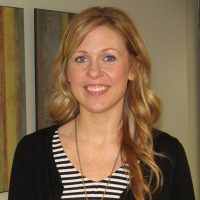 Jennifer Young received her Bachelor of Arts in Secondary Education from Eastern Michigan University and is a Certified Brain Injury Specialist. She has worked in education helping students with cognitive and emotional impairments and learning disabilities for over ten years. Jennifer’s past positions include Transition Education Specialist, Special Education Teacher, and General Education Teacher. Jennifer likes to travel and spend time with her friends and family. Jennifer came to Feinberg Consulting because she wanted to join a team of excellent experienced health advocates. In the future, Jennifer would like to pursue an advanced degree in Special Education Law. Jerri has extensive experience in hospital, private consulting, and home health care arenas. She assists elder care clients and their families with creating safe “aging in place” environments in their own homes, lending an added level of security and familiarity to their quality of life. 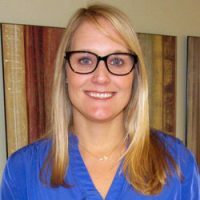 She is a certified life planner, certified legal nurse and has served as an emergency department nurse, charge nurse, and preceptor. 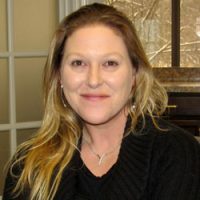 Jerri specializes in problem identification, intervention strategies, and outcome analysis, bringing comfort and clarity to her clients and their families. She is also proficient in medical review and treatment planning. Jerri creates individual care plans that focus on the specific needs of her clients, utilizing her experience as an ER nurse to follow them from hospital to complete rehabilitation, toward the best possible outcome. She has a strong ability to break down complex medical issues for her clients in a way that is easy to understand for both the client and their families. In particular, Jerri serves spinal cord injured clients of all ages by identifying and locating adaptive equipment and home modifications to improve their quality of life. Kisha graduated from the University of Phoenix with a Bachelor of Science in Nursing. She has been in the medical field since 1998 and has been a registered nurse since 2005. Before joining Feinberg she was a Nursing Supervisor at St. John Oakland Hospital. Her medical background is in oncology, surgery, and hospice. She joined Feinberg Consulting because “Feinberg is an innovative company that puts their clients and employees first. 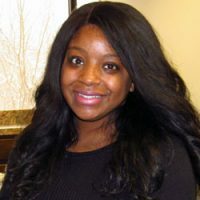 I wanted to join Feinberg because it is a true case management company that helps clients and their families in their time of need.” In Kisha’s free-time she enjoys ballroom dancing, spending time with her family, and singing. Linda graduated from Schoolcraft College Nursing School and became a Registered Nurse in 2013. After that, she worked at Oakwood Hospital on an Advanced Progressive Care Unit where she treated a wide variety of patients. She has worked as a Case Manager for the past 3.5 years, and prior to her career in the healthcare field, she worked in the insurance industry for over 20 years. Linda has an extensive knowledge of Michigan’s No-Fault auto insurance. “I joined Feinberg Consulting to work in a supportive team environment that allows me the opportunity to maximize my efforts in assisting clients who have suffered a catastrophic injury and to guide them down the path of recovery. I find that working in case management is an extremely rewarding experience as I assist my clients to reach their fullest potential.” In addition to her work, Linda enjoys cooking, reading, and spending time with her two children. Marcia has considerable social work experience, including affiliations with medical centers, trauma centers, intensive care units, acute care units, and hospital emergency rooms. 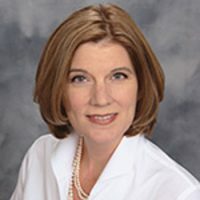 She is a Certified Geriatric Care Manager and is a member of the National Association of Social Workers, the Florida Behavioral Analysts Association, and the National Geriatric Care Management Association. Marcia is a Guardian Ad Litem for the Florida Polk County 10th District. She has also served as a consultant for an arthritis support group. Marcia also has experience with the development of interdisciplinary treatment plans and was the Chief of Services for Navy Family Services where she provided individual and marital counseling to service members and their families. Marcia’s assessment skills give her the ability to offer many different options for care planning. Her clear understanding of medical procedures and close relationships with medical professionals helps her explain to client’s the procedures and treatments in plain language as she removes the fear and anxiety. Marcia also assists clients in transition from hospital to home, helping them smoothly move through the steps of their treatment. She supports clients who may need care while in rehabilitation settings, while incarcerated, and the elderly, as they transition from independent to assisted living. Michele is a Licensed Master Social Worker, and also holds a Master of Arts in pastoral ministry with a focus on hospice and palliative care. She has had several years of experience in hospital-based psychiatric settings and is skilled in working with families, individuals, groups, and the multidisciplinary teams. 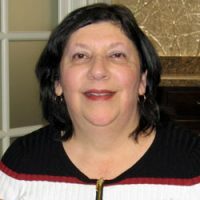 Michele has special expertise in assessing, coordinating, and planning for the elderly, ill, disabled, incapacitated, or mentally and emotionally challenged regarding placement recommendations and coordination of medical services. Michele offers a calm and warm presence for those experiencing crisis. Her strong assessment skills and understanding of how people cope spiritually helps the clients of Feinberg Consulting holistically, as she assists them in moving their lives forward with a flow toward independence and strength. With past experience in the durable medical equipment field, as well as in-home nursing and rehabilitation, Pat is especially suited to understand the complexities of the needs of her clients; assuring that they receive the tools required to promote health and quality of life. She has experience working with geriatric patients and their families, in a private clinical setting and also with community health organizations. 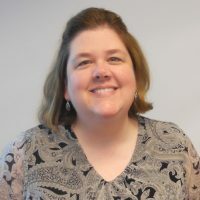 Pat is a member of the Case Management Society of America and spends time as a volunteer at Covenant House Teen Shelter and Novi Community Schools. Working with Feinberg Consulting gives Pat “the opportunity to work one-on-one with clients and their family to educate them on their rehab needs and goals of optimal wellness.” Pat utilizes her compassion and extensive background in health education as she collaborates with physicians in advocating for client’s needs and the expectations of therapists to help achieve maximum medical improvement. Her primary goal is to see her clients’ transition from a place of medical need to a place of emotional and physical strength. When she’s away from the office, Pat enjoys music, theater, reading, and playing tennis. Sandra has a Bachelor’s Degree in Psychology from Georgetown University and a minor in Biology and Spanish. She also has a Master’sDegree in Education from Long Island University. After teaching for 6 years, Sandra decided that she wanted to work in the healthcare field and she earned her BSN from Wayne State University and is a Registered Nurse. Sandra has years of experience working in the medical and case management field. She is excited to join the Feinberg Consulting team to be able to share and expand her passion for caring for others, and working with a team of experienced Case Managers. In Sandra’s free time, she enjoys downhill skiing, traveling, cooking, spending time with her husband and children, and watching her kid’s play sports.